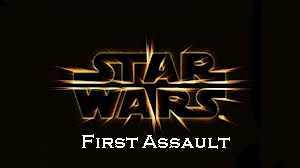 The Star Wars: First Assault game has been on and off for the past couple of months now. Apparently it’s a downloadable multiplayer game that is set to coexist with Battlefront 3. Gaming sites first got light of First Assault back in October 2012. Since then though, Walt Disney have acquired the Star Wars brand/franchise from Lucas productions after founder George Lucas decided to sell up shop. First Assault was due out sometime this spring but has now apparently been pegged back for a September release date. LucasArts had to suspend the development of the game because of the high profile Disney takeover it has emerged. If the First Assault game does get the go ahead, there’s to be 16 players competing in an epic online multiplayer shooting game. A strong unit of eight storm troopers against a unit of eight of the rebel soldiers fighting it out on different planets and terrain from the famous franchise. We’ll have more info on this particular story as it develops throughout the year.